MKS Instruments, Inc. introduces the Cirrus 3-XD atmospheric gas analysis system in benchtop and rack mounted models. The quadrupole mass spectrometer (QMS) based systems advance atmospheric gas analysis in a wide range of analytical applications and environments, according to the company. The Cirrus 3-XD system features V-lens Ion Optics Technology that eliminates baseline noise associated with the effects of metastable neutrals. This enables users to achieve consistently low ppb level detection limits, irrespective of the bulk gas present. The compact system includes new software to streamline accurate quantitation of trace and bulk gases. The Cirrus 3-XD system incorporates an internal oven and capillary inlet design to provide high temperature uniformity and stable response for qualitative and quantitative applications. The oven design eliminates cold spots and features advanced insulating properties and convection heating characteristics optimized for temperature uniformity across the entire inlet and analyzer. The heated inlet assembly employs a low volume, low surface area and inert silica-lined capillary to maximize response speed (250 data points per second) while minimizing memory effects. The Cirrus 3-XD system is controlled by ProcessEye Professional software, which features a ‘multipoint calibration’ methodology to enable users to generate accurate gas concentrations from raw partial pressure measurements. 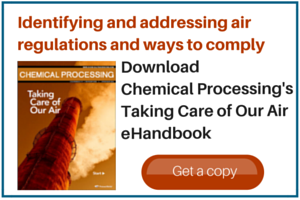 The workflow provides facile calculation and implementation of sensitivity and normalization factors for accurate gas quantitation in applications such as identification of trace gases in bulk gas or profiling simple or complex gas mixtures. Other Products by MKS Instruments, Inc.